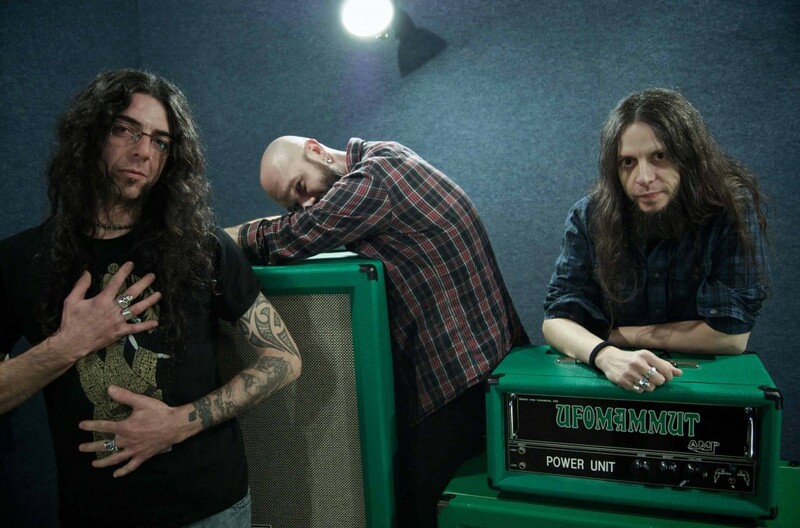 One of the most fascinating and satisfying aspects of Italy’s Ufomammut throughout the course of their career has been the seemingly willful drive to top themselves with each new release. Whether it was the jump from 2000’s Godlike Snake debut to 2004’s landmark Snailking or the experimentation in style and tone that would commence with 2005’s Lucifer Songs before solidifying on 2008’s Idolum (a collaboration with Lento was released in 2007 as well, furthering the experimental and ambient bent), the trio of Urlo (vocals, bass, synth), Poia (guitar, synth) and Vita (drums) have never yet failed to go bigger and grander sound-wise while also proportionately expanding their creative breadth. With 2010’s Eve (review here), Ufomammut embarked on the challenge of creating an album out of a singular longform work. It was a natural step for the band after Idolum, and they weren’t the first to confront that task – see Sleep’s Dopesmoker for a formative example. But where Sleep’s magnum opus would also serve as their swansong, Ufomammut did not fall apart after Eve, instead finding the climate of the heavy underground welcoming them to their greatest success yet. Eve made numerous year-end lists (including mine) and thrust Ufomammut to what could only be considered their rightful place among doom’s current elite and most groundbreaking acts. Listening, the album made you want to start a band that sounded just like it. 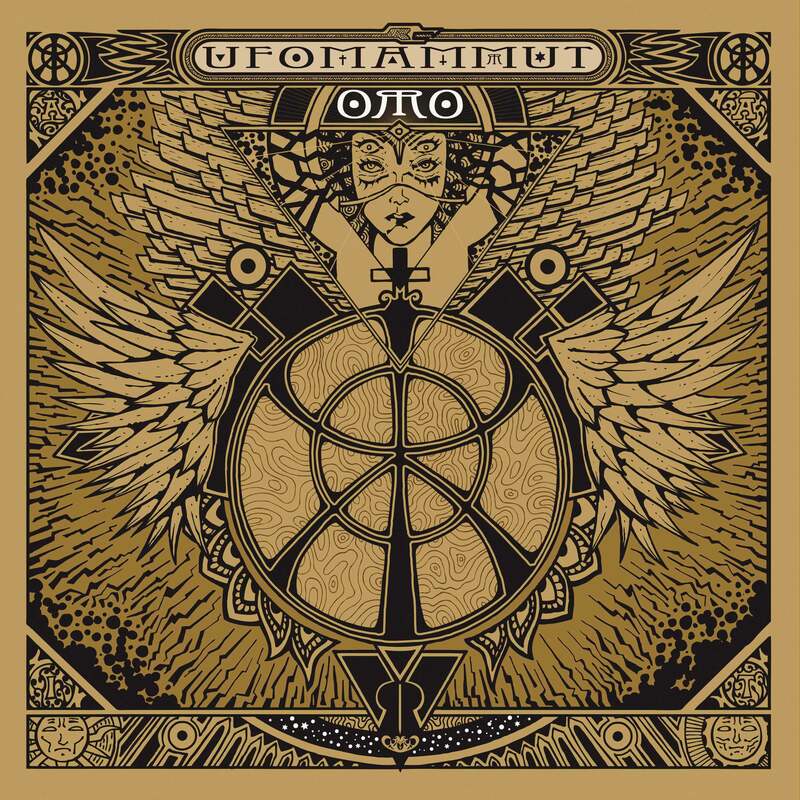 But in following it up, Ufomammut are truly in uncharted territory, which makes the arrival of Oro so much more exciting. Aligned now to Neurot Recordings for the first time (their own Supernatural Cat imprint has a hand in it too, from what I understand, and of course their Malleus alter-ego handled the artwork), Urlo, Poia and Vita have reasoned out a plan that – in keeping with their track record to date – is bigger than Eve, more of an ambient wash, more cosmically crushing and psychedelic in its weight, but most of all, more patient. Patient enough, in fact, that they’ve split the album in half. Oro arrives over the course of 2012 in two parts, subtitled Opus Primum and Opus Alter. It’s a risky move, bifurcating and delivering the singular idea over the course of two distinct pieces. The most recent example I can think of is Earth’s Angels of Darkness, Demons of Light on Southern Lord, and I would argue that over time, the thrill of the second piece was lessened by the fact that the musical ideas had already been presented on the first – as though the band had preempted itself. Ufomammut cover a huge expanse of stylistic ground on Oro: Opus Primum, but the question remains to be answered how Opus Alter will push these ideas even further. In a way, it’s unfair to critique the work they’re doing here, because it’s like trying to judge a painting before the sketch is colored in. You have the context and the basic form, but the complete narrative remains to be told. Certainly one’s tendency to default to hyperbole when it comes to Ufomammut’s work – “They sound like planets breaking!!! !” etc. (apologies if anyone has actually said that; it just came to me because it’s how I actually think they sound) – feels premature as regards the five tracks and 51 minutes the band presents here. They might sound like planets breaking on the über-lurching centerpiece “Infearnatural,” but the public hardly yet knows if that will continue on Opus Alter’s material and thus serve as a viable statement for Oro as a whole. While it’s a tough spot for reviewing Oro or trying to get a sense of what Ufomammut might do on the second part of this album that’s not just pure conjecture, it’s not as though Opus Primum is lacking substance at all. Quite the opposite. It may sound like half an album and leave one with a feeling that there’s conclusion yet to come, that imbalance is justified by the method of release Ufomammut have undertaken. The opening track here, “Empireum,” is essentially a 14-minute build up; an introduction to the yet-partially-obscured whole of Oro. It begins with a low end boom, subtle like a far off shutting down before creepy synth lines and backing noise – along with Vita’s slowly faded in drums – introduce the figure that will typify the song. As well as setting the course atmospherically for the rest of Opus Primum, “Empireum” also shows how patient Ufomammut have become within their songwriting. Perhaps it’s the extra space a two-album release provides them, but although the band has not wanted for ambience across their last several releases – Eve, Idolum and the Lento collaboration – “Empireum” pushes almost immediately further into the atmospheric. They’ve never been about catchy pop hooks or anything like that, and they’ve certainly made excellent use of peaks and valleys over the last decade, but in searching through their catalog, instances of this kind of patience are few and far between, even on some of their most extended material, be it the whole of Eve or cuts like “Demontain” from Snailking, which split its 28 minutes with a long break, or “Void” from Idolum, which followed a course less linear in its construction. “Empireum” unfolds smoothly, gradually, and seems for the first eight minutes-plus like it’s swallowing you in one piece, mostly because it is. It opens up, finally, to its payoff, and rides and continues to build on its churn for about half of the remaining five minutes, before Vita’s drumming provides percussive underscore for sustained, airy chords from Poia and Urlo, and the synths come back slower to remind of the song’s beginning. That figure shows up later on “Magickon” as well, and I wouldn’t be at all surprised if it was the last thing of substance (outro noise notwithstanding) one hears at the close of Opus Alter when that hits, though Ufomammut have never held much allegiance to doing what’s expected of them. The ambience that closes “Empireum” crashes into the droning, thickened riff that commences “Aureum,” which at 12:28 joins with the opener in accounting for more than half of Opus Primum’s runtime. Perhaps more characteristically Ufomammut in its giant space-tinged feel and gargantuan tone – Poia and Urlo joined together with periodic thuds from Vita backing them – it’s still almost two and a half minutes before the song is under way with its more doomed groove. Ultimately, it’s riffs like this that have earned Ufomammut their reputation as one of the heaviest bands in the world, and listening to “Aureum” run its course, I can hardly disagree with that assessment. When Urlo’s vocals start, seeming to drift in echoes in and out from another dimension, indeed the world itself seems small compared to the physicality of this material. They are cosmic doom, earning and helping to define what that means every step of the way. “Aureum” switches at about five and a half minutes to a more complex, winding riff, but loses none of its momentum, cutting to just the guitars and synth at six minutes to introduce the progression that will eventually slam back into what, for lack of better designation, seems to be the verse. Synthesizer swirling leads directly to that track from “Infearnatural,” which provides a bed for the introductory line from “Empireum” to return. It does so with impeccable finesse, the two synths playing off each other as impressively as layers of guitar otherwise might, one setting the “rhythm” for the other’s “lead” while remaining nonetheless distinct. Despite its similar time-span, “Magickon” (7:57) is vastly different from its predecessor, instead matching its structure to the linear build of the opener. Cymbal washes from Vita introduce Poia’s malevolent guitar line, and though it isn’t as smoothly executed as “Empireum” – one could easily argue that being six minutes shorter, it makes up for this lack of smoothness in efficiency – it satisfies nonetheless in showing that as far out as Ufomammut have gone, they’re still in control of Oro’s direction to this point, and that there is a hand at work behind Opus Primum’s pulse, guiding the record to a planned end. Urlo joins in later on bass, and just before the five-minute mark, he and Poia join the progression of that initial synth line to launch the crux of the second half of the build. A minute later, they develop the idea further by adding a classically doomed chug to supplement the established riff, and with about a minute left in “Magickon,” they’ve finally made their intent clear. The payoff isn’t as momentous or as sustained as with “Empireum,” but with about 45 seconds left, whatever pedal Urlo and Poia kick opens the distortion wider and pushes the song to its crest – quite literally a chill-inducing last-minute boost of adrenaline that thunders into the beginning of Opus Primum closer “Mindomine,” which keeps the build structure of “Magickon,” but adjusts the trajectory so that Opus Primum finishes with a hint of its conclusion to follow. Vita’s drums set the rhythm that the guitar comes to follow, quietly at first, and Urlo introduces a more melodic, more subdued vocal as his bass seems to take a step back to let the other two instruments breathe amid the almost-constant bleeding in and out of synth. Before passing its second full minute, the undulating course of “Mindomine” is laid out, and the singing that tops the riff that’s grown out of the drums is some of the finest that’s ever been on an Ufomammut release. If that’s a precursor for what’s ahead on Opus Alter, it’s something to look forward to, but in the meantime, right on cue, “Mindomine” takes off in the sudden quiet-to-heavy shift that introduces the next movement. Urlo’s vocals are sustained shouts from an abyss, but they’re short-lived, as Poia takes the lead – figuratively; it’s not a solo – on the song and ignites another massive chugging riff as a bridge to further plod. The move to wind the song down is gradual and skillful, though not as much so as Oro’s several excellent upward builds to this point. With more than three minutes still to go, Ufomammut moves into more open riffing, letting Poia take the solo that the track earlier seemed to portend as Urlo and Vita keep hold of the rhythm that will mark the last on Opus Primum. The last minute and a half are given to amp noise, string tugging, and synth ambience, the latter of which ultimately plays the record out, leaving behind some lingering sense of mood to hold over for next time, whatever route Ufomammut might take as Opus Alter plays out. In terms of doing what best serves the material, after listening to Opus Primum, it’s hard to imagine being able to grasp the whole of Oro were it presented as a double-disc release without losing some essence of the songs as individual pieces. That said, the question posed at the outset here (or close to it, anyway) of how or if Ufomammut will continue to build on these ideas on Opus Alter remains. Being one for structure, I’d almost like to hear two or three shorter tracks leading to a finishing duo mirroring the scope of “Empireum” and “Aureum.” Waiting to find out whether or not that’s how Ufomammut present Opus Alter will be half the fun of encountering the rest of Oro, and I give kudos to the band on making an album that one can manage to still anticipate after hearing half of it. Already coming into Opus Primum, Ufomammut were masters of their sound and their ongoing creative direction. The test of Oro was to see if their development matched the proportion of the presentation – that is, if the quality of the songs stood up to their quantity. I won’t offer finalities on the matter without hearing the second half of the whole work – this is, after all, half a review – but Opus Primum crafts a foundation on which the affirmation of that can take place, and even on its shown stands as a testament to Ufomammut’s unyielding progressive will. Even at its most subdued sonic points, there is no relenting in its creative pulse or atmospheric weight, and the rest will be in discovering how one Opus plays off the other to construct the entirety of Oro. I’m excited to find out how this journey ends. Highly recommended. This entry was posted	on Tuesday, April 3rd, 2012 at 2:36 pm	and is filed under Reviews. You can follow any responses to this entry through the RSS 2.0 feed. You can leave a response, or trackback from your own site.